Need the ability to customize modifier toppings for specialty items like sandwiches, burgers and pizza? Waitstaff can simply touch the menu item and select the topping and its size or prefix. With this type of flexibility, complex ordering can be organized, controlled and easy to implement in your restaurant. Employee contests can help increase average checks, launch a customer loyalty or gift card program, improve customer service, or boost morale. They help convert your wait staff from a labor cost to a marketing tool by motivating them, increasing server retention and improving the customer experience. 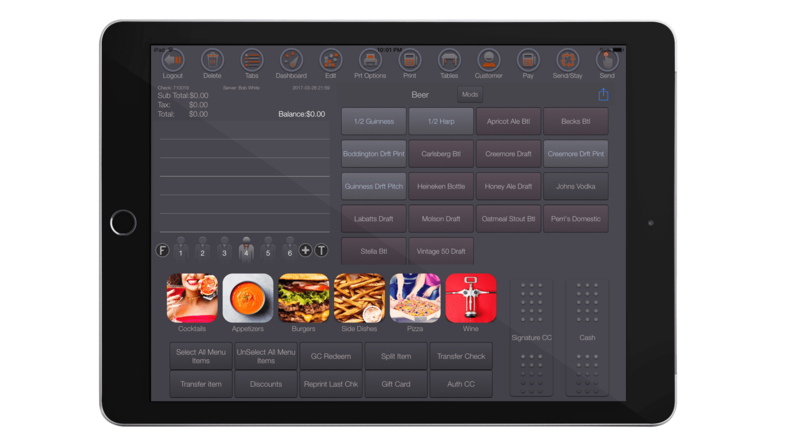 Leverage your iPad POS as more than just an ordering device. Create unique messages, promote your events, and add news and marketing packages without expensive software add-ons. Waitstaff simply use the iPad to capture your customers’ email information with ease for future marketing efforts. Employees clock in and out right on the iPad, and overtime is calculated automatically—which saves you time and makes compliance and reporting easier. Instantly reconcile tips and commissions at the end of the shift with our employee management software as Passcodes enable you to limit what information your employees can see and do. Employees can be point-of-sale users or non users, such as kitchen staff or cleaners. If a user has not clocked in, point-of-sale operations are not available. Employees can clock in using manual codes or swipe cards. Aireus can be configured torquier the staff to confirm their daily time card record by signature verification and acceptance process. 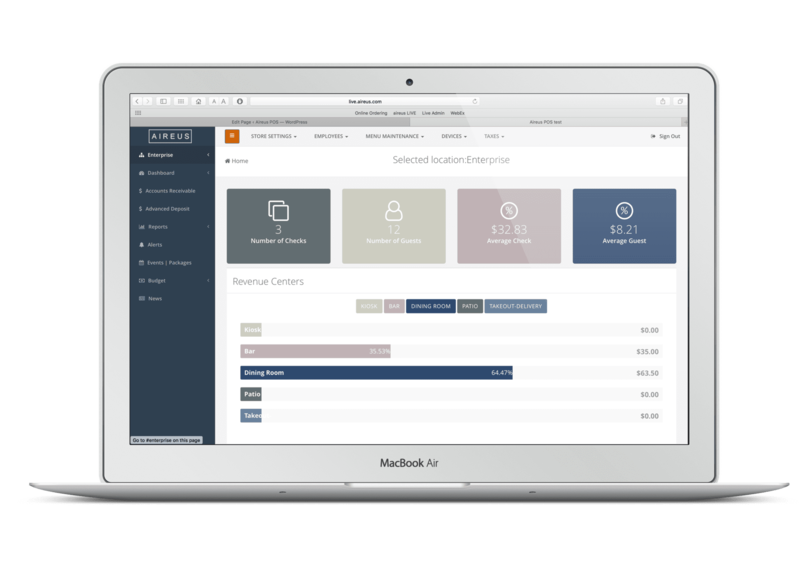 Aireus can be configured to export time & attendance information to third party payroll processors such as ADP. This practical feature eliminates the need for manual data entry and helps ensure better accuracy. Send important messages to an individual or by job class real time to there iPad and account. We track the employees acceptance and ensure the message is read. Assign multiple different job codes to each employee with different rates with minimum and maximum wage amounts to prevent underpaying or overpaying an employee when assigning a particular pay rate. At Aireus we can track employees too on break and then report on it to ensure labour complaince laws and processes are met and presented to operations.